GMC is an American division of General Motors (GM) that primarily focuses on trucks and utility vehicles. GMC is a name you trust, with strength and reliability being just two of the reasons why you chose a GMC automobile. But even the most reliable of vehicles need servicing from time to time. Your life depends on the hard work your vehicle does; and when your GMC needs a service, you need the help of a mechanic you can trust. 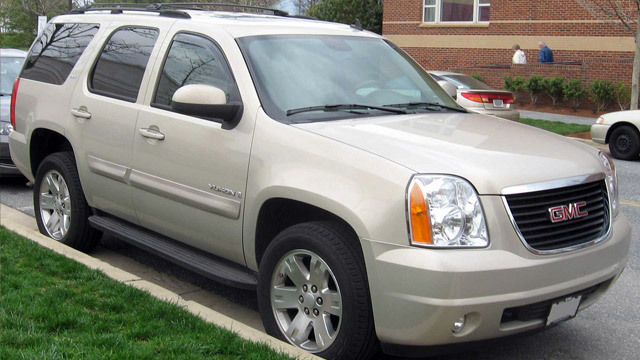 Whether your GMC is an SUV, a truck, a van, or a utility vehicle, Importsports Auto Repair Pros offers you the best GMC service and maintenance in the Denver area. Our certified technicians understand the value of a hardworking automobile. We offer thorough, quality services that get your vehicle back to work as quickly as possible. Unlike some shops, at Importsports Auto Repair Pros we don’t just focus on the mechanical aspects of service. From the moment you walk through our door until you drive away satisfied, we offer first-class care for customers as well as their vehicles. Our mechanics are happy to share their expertise by answering any of your questions, and we strive to offer a superior customer experience. Whether you need routine maintenance or major repairs, we stand ready to offer the best GMC care to you and your vehicle. Call the mechanics you trust to service the brand you trust. Call us today on (303) 752-2422 to speak with our knowledgeable staff, visit us at 7667 East Iliff Ave. Unit I, Denver CO or schedule an appointment online with us and give your GMC the service it deserves.